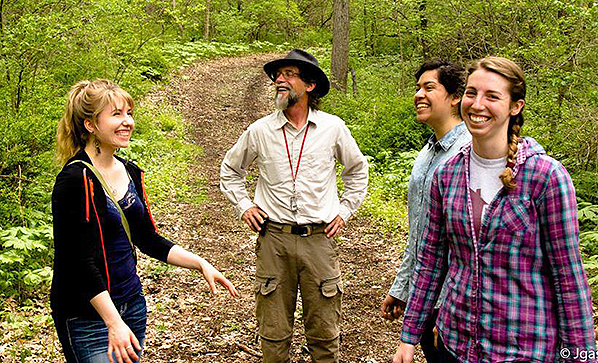 Joining the faculty of Loyola University Chicago, Greg Rajsky taught the summer session of Restoration Ecology (ENVS 398) at the university’s retreat and ecology campus (LUREC) near Woodstock, Illinois, in May 2014. The course was a three-week immersion program during which the students and faculty took their meals together (at LUREC’s dining hall under the direction of celebrity chef Scott Cummings) and studied in the classroom and in the field from 9:00 a.m. to 4:00 p.m. Monday through Friday. 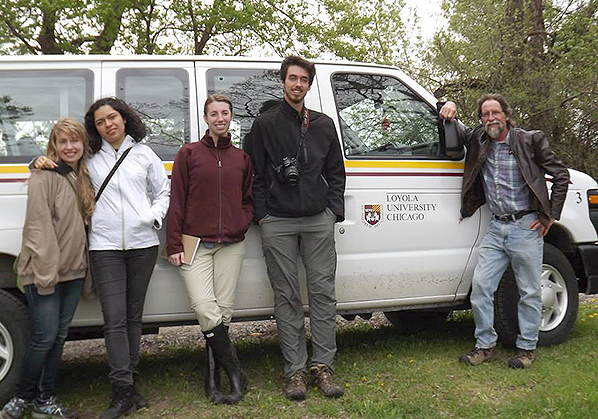 The course covered the scientific principles of restoration ecology along with the history and current practice of ecological restoration, both at the extensive LUREC campus as well as at sites throughout McHenry County, Illinois. Field sessions included interpretive visits to significant restoration sites in the county, along with hands-on restoration projects at the Woodstock campus. Restoration Ecology students with Rajsky on a field trip to Alden Sedge Meadow. Learning about nature—in nature—is a joyful experience. 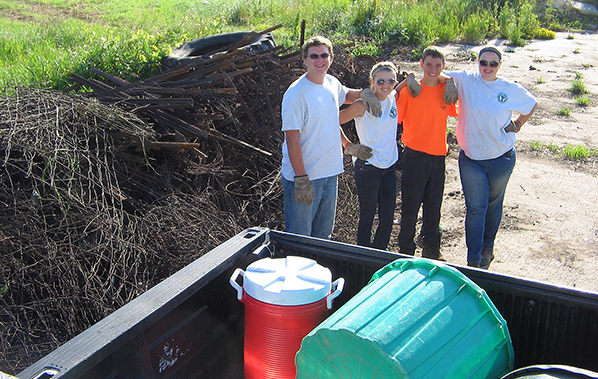 From June to August, 2014, Greg Rajsky led a teen-aged crew in environmental projects at the new Hackmatack National Wildlife Refuge situated in McHenry County, Illinois, and Walworth County, Wisconsin. The United States Youth Conservation Corps (YCC) program was funded by the U.S. Fish & Wildlife Service of the Department of the Interior, administered by the McHenry County Conservation District. Rajsky and his crew removed miles of interior fencing from the wildlife refuge and cleaned up two former agricultural dump sites, sending several dumpster loads of scrap metal to be recycled. The YCC crew also engaged in ecological restoration within the refuge and conducted biological surveys of freshwater mussels and rare plants. While providing meaningful summer employment for the youth—along with significant educational opportunities—the YCC experience also exposed the young people to a variety of environmental career options. Rajsky & crew take a break from pulling fence. Crew members pose with a small portion of the scrap metal they collected for recycling. Measuring a very large red oak (Quercus rubra) in the Hackmatack National Wildlife Refuge.